Product prices and availability are accurate as of 2019-04-23 17:16:12 UTC and are subject to change. Any price and availability information displayed on http://www.amazon.co.uk/ at the time of purchase will apply to the purchase of this product. 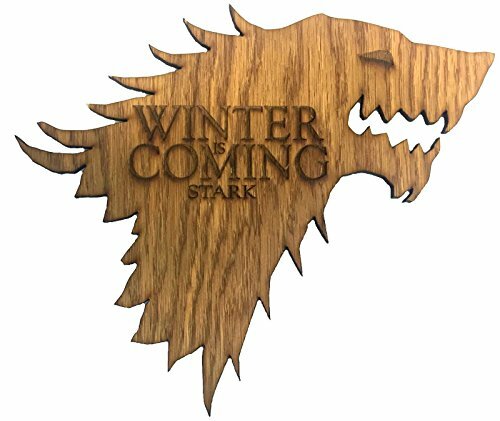 Display your favourite House Banner with this stylish wooden sigil. 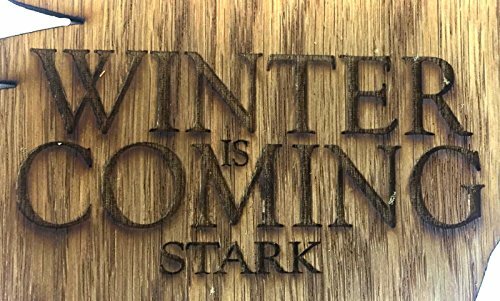 Laser cut and engraved from 4mm Oak veneer, and stained with a classic Georgian Oak finish. Suitable for fixing with adhesive, pads or screws, fixings NOT supplied. Manufactured in the UK by Derwent Laser Crafts Ltd.